← Action Alert: Time is running out. Please help. Some interesting events have been taking place at the Hunt’s Creek 1-H well in Belfry over the last few days. Energy Corporation of America (ECA) has taken down the well structure at the site. They began dismantling the structure last week and hauled off the structure over the next few days. The most likely reason they’ve done this is that they’ve removed samples and will perform analysis on them, a process that can take anywhere from a few weeks to a year. Once they’ve done the analysis they will make a decision about how to proceed. It’s also possible that legal sources of water are not readily available and they have shut down, or that they have decided for another reason not to proceed. I’d be curious if any readers have insight into what is going on. Respond in comments or contact me directly if you do. And if you see activity at the site, please report it. October, 2013: John Mork, the CEO of Energy Corporation of America, announced the opening of an office in Billings and plans to hydraulically fracture 50 wells along the Beartooth Front in a move that would bring the “Bakken to the Beartooths.” At about this time, ECA approaches a local landowner and offers a one-time payment of $4,500 for access to three acres of land to drill the well. The landowner was told they had no choice but to sign. Protest in front of the Montana Board of Oil and Gas Conservation. 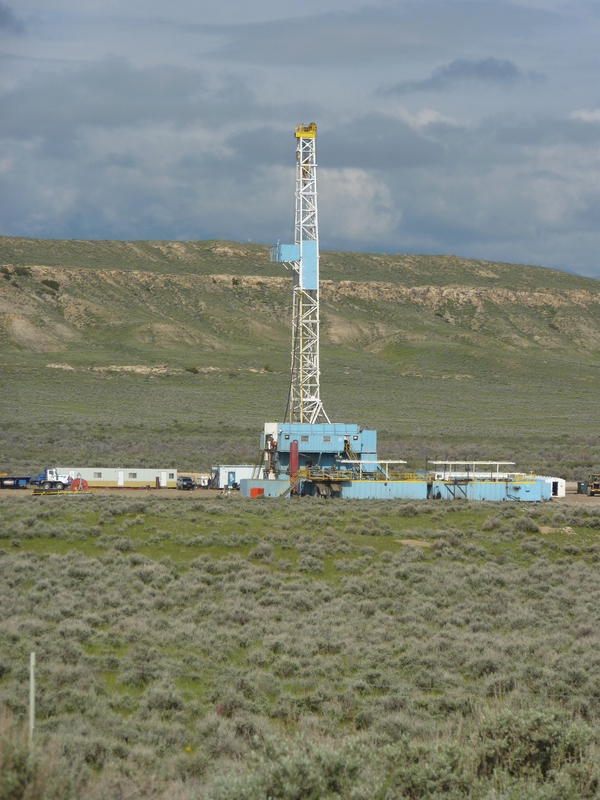 December, 2013: The Montana Board of Oil and Gas Conservation (BOGC) refuses to hear the arguments of concerned citizens and grants ECA a permit for the Belfry well. January 8, 2014: Northern Plains Resource Council and its affiliate Carbon County Resource Council file suit against the BOGC, demanding a hearing on the well permit and reforms in the process by which the BOGC permits wells. February 7, 2014: Analysis reveals that ECA has an abysmal safety record in Pennsylvania and West Virginia, with 66 inspections with violations, 90 separate violations, 55 enforcement actions, and fines totaling over $80,000 in Pennsylvania alone. February, 2014: BOGC accepts the demand in the lawsuit and grants a hearing on the well. February 27, 2014: BOGC ignores public input and expert testimony, granting the permit as requested by a 6-1 vote. March, 2014: Neighbors begin to discuss options to protect their land, water and way of life. Given the lack of protect from the BOGC and other state entities, they look specifically at options for local action. 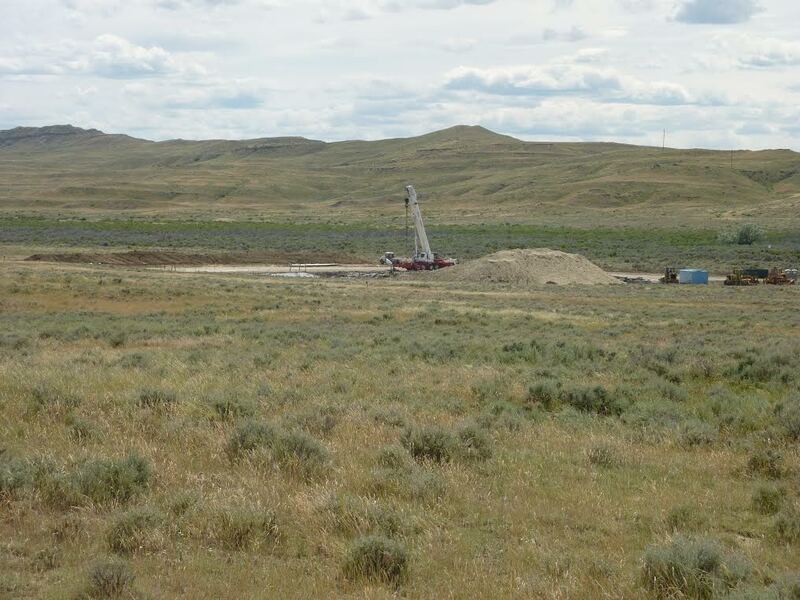 May 14, 2014: ECA begins work on the well. Residents immediately become concerned that the company’s contractors are illegally drawing water out of a gravel pit near the site. Even though the pit is on private property, the water in the pit belongs to a common ditch association and is jointly controlled by a board of local property owners. The board would have to give permission before the water could be legally used. Tanker truck illegally removing water from well. Click to enlarge. 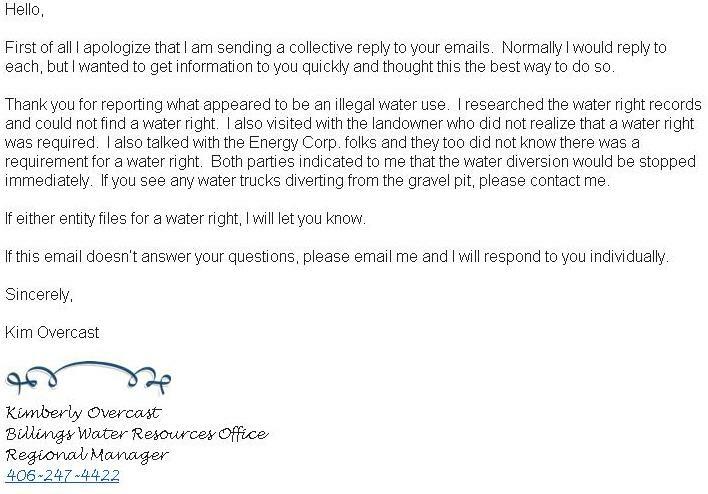 May 21, 2014: After receiving a citizen complaint and dozens of calls and emails from local citizens, the Montana Department of Natural Resources shuts down the illegal appropriation of water from a local gravel pit without a water right. 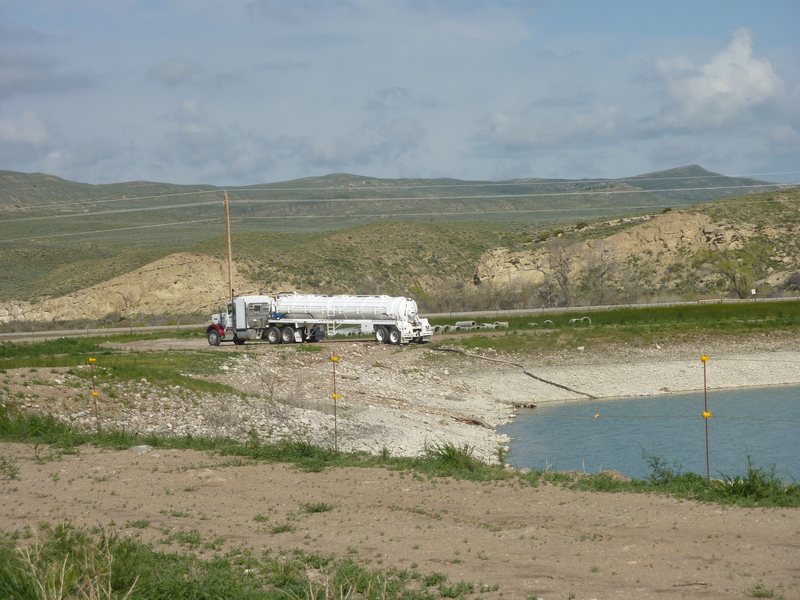 May 23, 2014: The contractor makes a deal with the town of Bridger to get one truckload of water per day until June 10. The deal was made without a public hearing, but administration says that any extension of the contract beyond June 10 will require a public hearing. June, 13, 2014: ECA begins dismantling the well structure. June 16, 2014: The well is dismantled. Only a small pond and a pile of dirt remain. The current state of the site is pictured below. 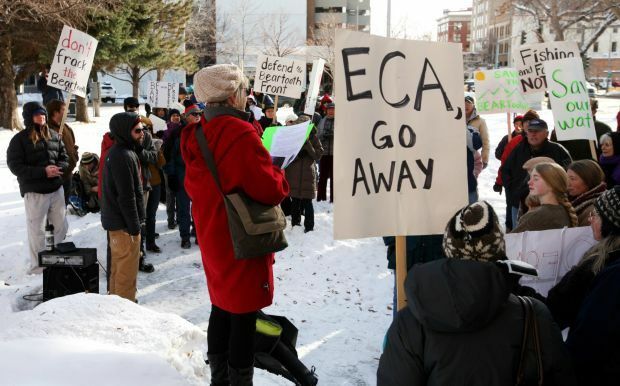 As of yesterday afternoon, ECA had not filed the 48 hours advance notice to the BOGC required to begin fracking. This entry was posted in Community Organization, Politics and History and tagged Belfry well, BOGC, Carbon County Resource Council, DNRC, ECA, Energy Corporation of America, Hunt's Creek 1-H well, John Mork, Montana Board of Oil and Gas Conservation, Montana Department of Natural Resources and Conservation, Northern Plains Resource Council. Bookmark the permalink. Thanks Britt. Much help will be needed along the way. Thanks for the excellent summary. As someone who has been in the environmental business for over 30 years and who now gets to enjoy a beautiful clean environment in Montana, I appreciate your information! Just drove through oil and gas country in Utah and while the drilling rigs looked well maintained (no visible spills, etc) , a news special on the increase in health effects for that region in particular showed alarmingly levels of air pollutants from the industry in a region that is rural. I am thrilled this company is leaving…… At least for now!